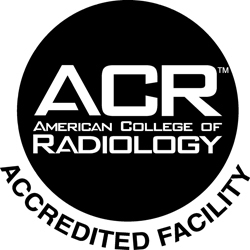 Conveniently located within our Meridian facility, our Radiology Department is accredited by the American College of Radiology (ACR)*. Radiology reports are interpreted by board-certified radiologists in a timely manner. All IUI Diagnostic Imaging Technologists are registered through the American Registry of Radiologic Technologists and have obtained their degree in Radiologic Science. Q: What does it mean to be an accredited diagnostic imaging facility? The American College of Radiology (ACR), headquartered in Reston, VA., awards accreditation to facilities for the achievement of high practice standards after a peer-review evaluation of the practice. Evaluations are conducted by board-certified physicians and medical physicists who are experts in the field. They assess the qualifications of the personnel and the adequacy of facility equipment. The surveyors report their findings to the ACR’s Committee on Accreditation, which subsequently provides the practice with a comprehensive report. 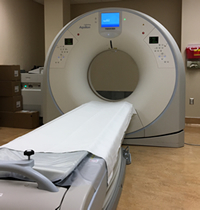 The ACR is a national organization that serves more than 32,000 diagnostic and interventional radiologists, radiation oncologists, nuclear medicine and medical physicists with programs focusing on the practice of medical imaging and radiation oncology and the delivery of comprehensive health care services.